Messerschmitt Bf 110 over the cliff coast of Dover. Battle of Britain (Day 33): Highest daily losses up now. 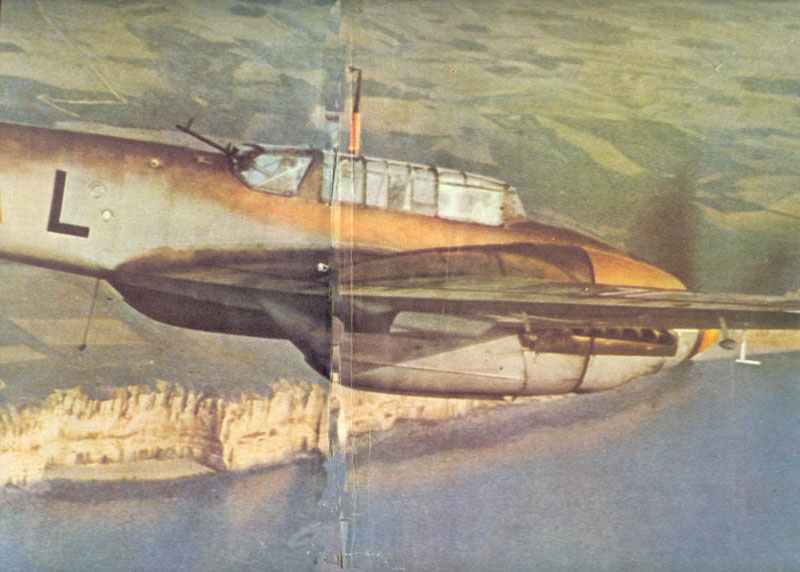 While German fighters stage diversions over Dover, Ju 88s and He 111s bomb Portland and Weymouth. Me 110s of elite fighter-bomber unit Erpr.Gr.210 attack convoy off Harwich. Losses: German, 35; British, 30. Atlantic: Troopship Mohamed Ali el-Kebir (formerly Egyptian liner) sunk by U-boat; 120 dead. Battle of the Tug Argan Gap: small British force holds mountain pass for five days against repeated attacks by strong Italian forces, supported by aircraft (British withdraw August 15-16).